Rayquaza, The Sky High Pokémon. Rayquaza is said to have lived for hundreds of millions of years. Legends remain of how it put to rest the clash between Kyogre and Groudon. It flies forever through the ozone layer, consuming meteoroids for sustenance. The many meteoroids in its body provide the energy it needs to Mega Evolve. It goes without saying that Rayquaza is one of the most notable Pokemon in the series, and for so many reasons that don't really need an explanation. It's a big dragon that that lives in the skies and it's both strong and intimidating, while also really being one of the first proper Dragon-type Pokemon to fit that description. Not much has changed for Rayquaza aside from increased popularity in the last few generations, it just tries to destroy whatever stands to oppose it and will likely do so unless that foe is a Fairy-type or a user of Ice-type moves. Let's not kid ourselves though, we all know the reason to use Rayquaza lies within its Mega Evolution and unless the format disallows it, you won't be using the sky serpent without it. 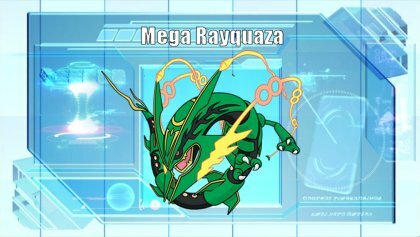 Rayquaza's base form itself is certainly not lacking in power itself but in the recent metagame it tends to not be a very influential presence as we continue to see more powerful Fairy-types show up. Dragon Ascent being a Flying-type move will forever be an incredible boon that prevents Rayquaza from being invalidated by Fairy-types, but if you're looking at Rayquaza without its Mega Evolution, you'll get a fairly strong dragon with very noticeable drawbacks and that's about it. Now if you want the god slayer to surpass god itself just skip down to the Mega Evolution section. It's the real reason you're here anyway. Rayquaza's offenses are monstrous at base 150 each, hitting things hard with whatever move it wants is one of its specialties. This is augmented by great physical boosting moves in Swords Dance and Dragon Dance, but nothing for its special moves. A fantastic movepool complements Rayquaza's amazing offenses, giving it the tools to break down almost anything it chooses to with an added bonus of strong priority in the form of Extreme Speed. Dragon Ascent is a ridiculous move backed by one of the best offensive typings in the game. Flying-type Close Combat exclusive to Rayquaza is really the only thing you need. Rayquaza's typing is far from unique, but it's both effective and useful on the offensive and defensive front. Flying type is amazing offensively, and the Dragon type provides many useful resistances for a Pokemon with otherwise average bulk at best. While base 95 Speed certainly isn't bad, it's far from ideal for an offensive powerhouse. 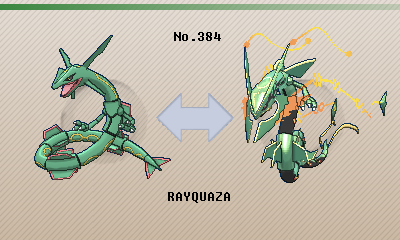 Rayquaza relies heavily on boosting its Speed or priority which can make it difficult to utilize sometimes. Dragon-types usually have it rough these days in a Fairy-heavy metagame. While Rayquaza gets by with an amazing Flying-type STAB that most Fairy-types don't resist, it's not difficult to take it down. The 4x weakness to Ice-type moves and the Rock-type weakness don't help either. Rayquaza faces strong competition from its own Mega Evolution and Mega Salamence, which are both stronger overall. Realistically, there's no reason to use Rayquaza in its base form in any format that allows the use of its Mega Evolution. Rayquaza is a powerful Pokemon that becomes even more powerful when it can boost its Speed, hence Dragon Dance stands as its best boosting move. Dragon Ascent is an incredible STAB move due to Flying-type providing incredible neutral coverage, there's really no need for another STAB especially when Dragon-type STAB moves are so shaky these days. Extreme Speed is the best priority move in the game, and even without STAB Rayquaza can make great use of it due to its huge Attack stat and the +2 priority bracket beating out most other priority moves. 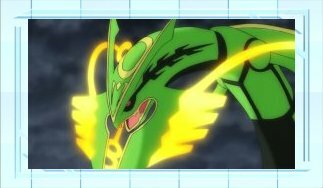 V-create may be limited to an old event, but it's the strongest coverage move Rayquaza can ask for in any format that allows such an old event. A base 180 Fire-type move on a Flying-type Pokemon is worth the drawback almost every time. However, Earthquake is still a perfectly valid alternative if V-create is not an option, which has the notable advantage of hitting the likes of Arceus-Rock, Tyranitar, and Toxapex harder than any of Rayquaza's other moves. Maximum investment in Attack and Speed are self-explanatory, Rayquaza wants to hit things as hard as possible and wants to do so before its foes can act. Adamant nature optimizes damage output while Jolly allows it to outspeed as many foes as possible in the crowded base 90-100 Speed tier. This notably outspeeds neutral natured Xerneas which is a very useful threat for Rayquaza to outspeed. Life Orb provides the best general boost in power, and the recoil isn't overly problematic since Dragon Ascent's defense drops already compromise its bulk anyway. However, Flyinium Z allows Rayquaza to burst through a bulkier foe at once to facilitate wall-breaking and it is otherwise the only tangible advantage Rayquaza has over its Mega due to the inability to Mega Evolve it in the first place if it holds the Z-Crystal. While Rayquaza typically sticks with its superior physical attacks, it still has a massive base 150 Special Attack it can utilize. Dragon Ascent will always be the primary STAB due to its raw power and typing, though Draco Meteor takes advantage of its Special Attack and Dragon STAB to bust down physically defensive foes that expect to comfortably tank whatever move it throws at them. Otherwise, Rayquaza's other move slots are dedicated to the wallbreaking role and don't vary much from its boosting set. V-create and Earthquake both offer coverage against Steel-type foes, with the former being far stronger while the latter allows Rayquaza to deal with Rock-types more efficiently. Extreme Speed is a powerful priority move that allows Rayquaza to pick off weakened foes, and it becomes especially useful on a set where Rayquaza can't boost its Speed. A mixed set still wants to maximize Attack and Speed since Rayquaza's offensive presence is still coming mostly from the physical side, though instead a Naive nature is taken to avoid reducing its Special Attack. Hasty nature works just as well though lowering Defense is marginally worse than lowering Special Defense since it makes Rayquaza more vulnerable to opposing priority moves. Life Orb boosts Rayquaza's overall damage output which is ideal for a pure wall breaker, as a Z-Move isn't quite as useful without a boosting move. Swords Dance is still an incredibly deadly option for Rayquaza, doubling the attack of something with so much power already can be very effective. However, even with Extreme Speed it's tougher for Rayquaza to keep up these days without the speed boost that Dragon Dance provides. One of Rayquaza's weaknesses is that isn't not particularly durable with Dragon Ascent factored into the equation. Focus Sash can fix this provided you can keep Stealth Rock off the field, a Rayquaza that is guaranteed to live any single attack is nothing to take lightly. Defog is a fairly unconventional choice for a Pokemon that just wants to decimate things, though on a non-boosting set it can be useful utility if the extra coverage slot isn't necessary. 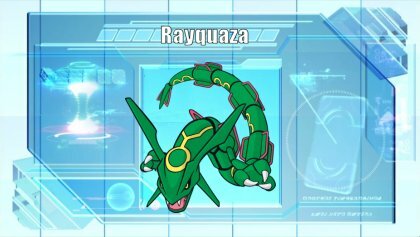 Rayquaza has a 4x weakness to Ice-type moves, use those. It's rare for Rayquaza to survive any reasonably powerful Ice-type attack especially after Dragon Ascent drops and Life Orb recoil, even something with middling offense such as Lugia or Cresselia can bring it down with an Ice Beam. Fairy-types generally don't want to switch into a boosted Dragon Ascent, though otherwise they can quickly take down Rayquaza with their respective Fairy-type STAB. Xerneas, Magearna, Tapu Koko, and Tapu Lele are all stand-outs in this regard, though none of them really want to deal with a boosted Rayquaza if they can avoid it. Few things really want to deal with a boosted Rayquaza though, so ideally pressuring Rayquaza so that it can't boost is an effective approach. Faster Pokemon such as Ultra Necrozma, Marshadow, and some Yveltal sets can really make it difficult for Rayquaza to attempt boosting, which can make it easier to keep it in check or otherwise take it down outright. Rayquaza is also quick to wear down with its weakness to Stealth Rock and reliance on Life Orb and Dragon Ascent, which makes priority moves from the likes of Arceus, Yveltal, and Marshadow effective against Rayquaza. Defensively, not much wants to deal with Rayquaza, though you can usually count on Lugia and the defensive Arceus formes such as Rock, Fairy, and Water to keep it in check as well. In general though, don't rely too heavily on defensive Pokemon to check Rayquaza, since breaking down walls is kind of its specialty. Mega Rayquaza is the embodiment of many things. Quetzalcoatl, Jormungandr, Final Fantasy's Bahamut, whatever other serpent or dragon god from any background you can think of, Mega Rayquaza is probably that too. It's been several years since Mega Rayquaza tore the landscape of competitive Pokemon apart with its sheer might. A whole generation later, several attempts have been made to match its power but none have come close to bringing it down to the level of the other gods of Pokemon. It's a true testament to Mega Rayquaza's power that in a metagame filled with strong Fairy-types, the most powerful Pokemon still remains as a Dragon-type Pokemon. More so this is a testament to how powerful the Flying type as an offensive typing, but the point is that Mega Rayquaza is deadly strong and nothing introduced in Alola stands to contest that. There are certainly a number of new Pokemon that can try to keep it in check if need be but generally speaking, Mega Rayquaza is still the god slayer it was in Gen 6 and...that's really about it. You know what Mega Rayquaza does, it kills things and eats meteors. 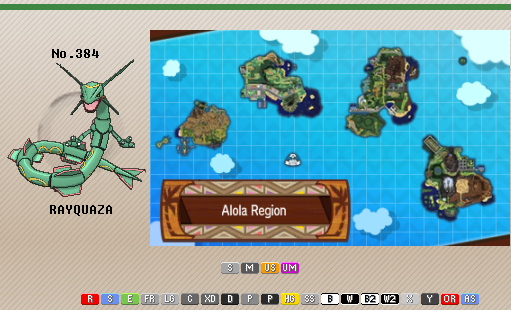 It probably enjoys all that too, good thing Rayquaza isn't malicious or anything. Mega Rayquaza's dual 180 offenses are still among the strongest combined offenses in the game, it's not a question that this thing is still insanely powerful. Don't get on its bad side, ideally. That base 115 Speed is still fantastic, Mega Rayquaza isn't necessarily the fastest thing out there but it's up there, especially when you factor in Dragon Dance boosts. As a bonus, Gen 7 changed Mega Evolution mechanics so that it obtains this new base Speed immediately, so no more awkwardly playing around the middling base 95 Speed tier on turn 1. Recall that Mega Rayquaza can utilize items, unlike every other Mega Evolution. A Pokemon with 780 BST and free item slot is just as insane as it sounds, in case you've forgotten this by now. Delta Stream the Strong Winds it summons still makes for an incredible ability. Mega Rayquaza becomes deceptively difficult to take down when its only weaknesses are plain 2x weaknesses to Fairy-, Dragon-, and Ice-type moves. Canceling out other weather effects is also still very powerful. Rayquaza's incredible movepool still carries over to the Mega Evolution, this thing has more amazing moves than it could ever need. The only thing it's missing is like, Roost or Quiver Dance. Or Hurricane, you'd think the sky god would have the power to use that, maybe even boost that accuracy with those Strong Winds it controls. Mega Rayquaza is probably pretty chill to hang out with, a sky god that protects the planet sounds like a good friend to have. Shockingly, Mega Rayquaza still has weaknesses. It has respectable bulk and Speed for an offensive monstrosity, but base 115 Speed is still outsped by a number of crazy speed demons that can pose a threat to Mega Rayquaza if not utilized carefully. Mega Rayquaza is its own worst enemy, Dragon Ascent drops and Life Orb recoil can still leave it vulnerable to retaliation and priority moves if the foe manages to survive its assault. No, you can't use Z-Moves with Mega Rayquaza. The game will physically prevent you from Mega Evolving since it prioritizes the Z-Move option instead. As the most powerful Pokemon, Mega Rayquaza is naturally going to have a target on its back at all times. It's not uncommon for a player that expects to see Mega Rayquaza to have an unexpected lure on the team dedicated solely to beating Mega Rayquaza, so always be wary of suspicious sets. Mega Rayquaza is more or less a killing machine that lives by the mindset that only the strong survive. Dragon Ascent is Mega Rayquaza's primary tool for this purpose, brutally punishing anything that isn't a bulky Rock-, Electric-, or Steel-type and destroying near anything else. Extreme Speed is a deadly priority moves in the hands of Mega Rayquaza, hitting nearly as hard as Arceus-Normal's Extreme Speed despite the lack of STAB. Earthquake provides great coverage against Steel-types without any real drawbacks, while also dealing with Rock-types and Electric-types such as Tyranitar and Tapu Koko. V-create somewhat wastes Rayquaza's fantastic speed, but otherwise provides slightly better coverage against relevant Steel-types while generally being stronger than Earthquake. Dragon Dance is what really pushes Mega Rayquaza over the edge, as very few Pokemon can realistically outspeed it after a boost, and nothing relevant will outspeed it after two boosts if it ever somehow gets the opportunity to do so. Maximum offensive investment is straightforward, Mega Rayquaza kills things and investing in offense and speed allows it to do so faster. The preferred nature is Jolly here since Rayquaza is already so unbelievably strong as it is and the base 115 Speed tier is very useful to take advantage of, though the more adventurous types might elect to take an Adamant nature because they're addicted to raw power. Life Orb is the obvious item choice to ensure the foes that Mega Rayquaza touches fall to the ground, though Lum Berry is also a valid choice to fend off the status moves that will undoubtedly be coming its way. Lum Berry can also create an opportunity to obtain more than one boost which can be especially deadly against a foe trying to cripple Mega Rayquaza with status. Focus Sash is also an option to allow Mega Rayquaza to pull off some very scary setup opportunities or otherwise survive an attack it shouldn't be surviving. Swords Dance is once again a deadly option Mega Rayquaza since it has the base Speed to get by without Dragon Dance. However, with threats such as Marshadow and Tapu Koko around, the Speed boost from Dragon Dance does tend to be better than the extra Attack boost. Mixed sets are a possibility for Mega Rayquaza since it still has a ridiculous base 180 Special Attack, making Draco Meteor a valid option. However, pure physical sets are usually still the best ones, since those sets can boost. If you've been following the 2019 VGC circuit, you've probably realized that Rayquaza is not actually particularly useful in its base form. However, anyone who remembers the World Finals in 2016 may be aware that Mega Rayquaza is actually still incredibly powerful in a Doubles setting, and a well played Rayquaza is even scarier. Air Lock, Delta Stream, and the flexibility to not require Mega Evolving Rayquaza all make for tricky mind games that make the sky serpent a very dangerous Pokemon in the Ultra Series of VGC 2019. Weather control is a very powerful tool in a Doubles setting where Primal Groudon and Primal Kyogre dominate the scene, and this same control can likewise be used to make your own Primal Kyogre even scarier to use. However, Xerneas is still just as powerful as it was in Gen 6 even though a lot of its friends such as Smeargle, Talonflame, Mega Salamence, and Mega Kangaskhan were hit by the nerf bat, so Mega Rayquaza still needs to be careful around Xerneas. Luckily Mega Rayquaza now wins the speed mind games due to the new Mega Evolution mechanics, so this ultimately makes Mega Rayquaza a bit safer to utilize. It's also still a bit more technical and demanding of player skill to utilize optimally but make no mistake, Mega Rayquaza is a very deadly threat in the GS Cup format and it should always be one of the first Pokemon you should be taking into consideration during teambuilding. The Doubles format makes it a bit tricky for Rayquaza to run all the moves it wants but the general set usually ends up fairly straightforward. While the power of Mega Rayquaza is generally assumed, there will be times where Mega Evolving is best held off in which case the set still functions nearly the same. Dragon Ascent is crazy powerful and even with the defense drops the drawbacks are fairly low for the amount of power it provides. Extreme Speed also provides insanely useful utility in Doubles since it's a strong priority move that sits in the same priority bracket as Follow Me and Rage Powder. In other words, Extreme Speed will typically bypass redirection since Rayquaza is faster than all the common redirectors. Swords Dance allows Rayquaza to break down nearly anything in its path which is notably useful for breaking down just about any opposing restricted Pokemon bar Dusk Mane Necrozma. Protect is Protect, being able to defend from attacks tends to be useful when the opponent will likely want to target you after your 232 raw Attack becomes 464. There are a number of adventurous approaches to Mega Rayquaza's EV spreads, but unless your name is Jamie Boyt and you're using Assault Vest Rayquaza you will probably want a simply pure offensive spread such as the one listed above. Jolly nature is generally preferred to ensure Rayquaza is outspeeding as many foes as possible, in particular outspeeding neutral natured Xerneas and Yveltal is always worth it. Focus Sash is preferred as the safety of surviving one attack makes it easier for Rayquaza to set up and also makes it very difficult to deal with if it manages to set up unscathed. Life Orb can also be used to boost its damage output further, though this will generally be less optimal since the meta tends to get bulkier as time goes on making the extra power less useful than the safety of reliable setup. - A mixed set with Life Orb and Draco Meteor allows Rayquaza to punish foes without worrying about setup, which has the notable advantage of dealing with Primal Groudon more efficiently. However, the Swords Dance set will typically be better. - If you're playing a 6v6 Doubles format that isn't VGC, then you may consider V-create over Swords Dance for the raw power and coverage it provides. Life Orb also becomes more valid in this scenario as well, though chances are you won't find many formats where these options are very relevant. - Yes, Assault Vest Rayquaza has done well at events in GS Cup formats. Yes, it's a valid set. No, I would not recommend it to anyone but the most technical players who really know what they're doing with it. Bonus points if you're going full crazy with Icy Wind Rayquaza. But hey, if it works it works. To put it simply, you don't counter Mega Rayquaza. Instead, you use one of its several checks and hope that you can play well enough or that your opponent isn't skilled enough to give it ample room to set up, because otherwise you'll likely be overpowered regardless. To this end, attempting to pressure Rayquaza is key, so using faster Pokemon such as Marshadow, Ultra Necrozma, or Arceus is vital if you have these options. Likewise, priority moves from Yveltal and the aforementioned Marshadow and Arceus can also bring it down after some drops, though most priority users not named Marshadow still must be wary of their own health as Mega Rayquaza can potentially beat them down with its own Extreme Speed. Bulky Rock- or Steel-types such as Tyranitar, Arceus-Rock, Dialga, and Celesteela can potentially check Mega Rayquaza but be very sure you know what coverage move it's running before attempting this, as it can and will destroy them with the proper coverage if you aren't careful. Bulkier Fairy-types such as Xerneas and Magerana can also check Mega Rayquaza, though again, be very careful if it's had any opportunity to boost itself beforehand. In a 3v3 setting, Mimikyu also stands out as a reliable check as Mimikyu tends to be to most offensive Pokemon. Similarly, smart use of the Focus Sash item can also allow you to emergency check Mega Rayquaza, so giving that to a Pokemon such as Tapu Lele or Marshadow can ultimately work out for you as long as hazards are kept off the field.